Ship: Maori, built by British shipbuilders Vickers-Armstrong and launched on 27 November 1952. 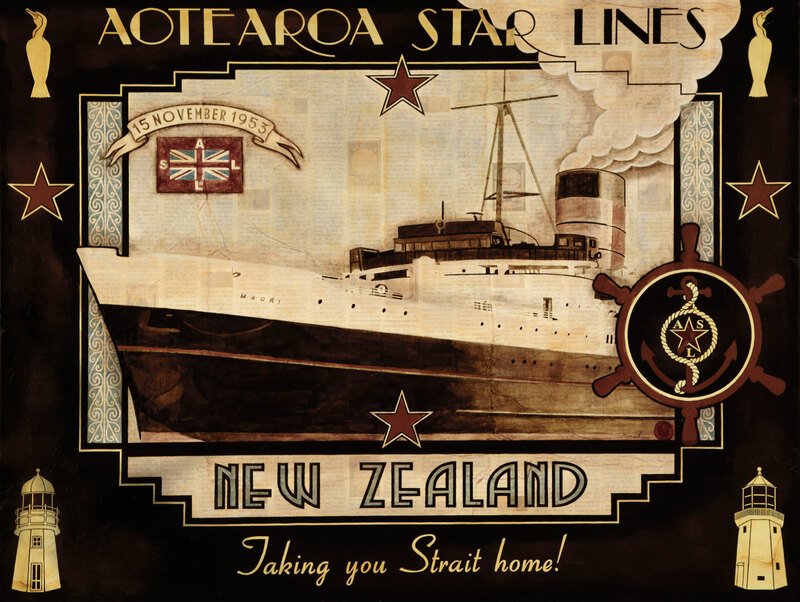 Aotearoa Star Lines Logo (star & rope): Logo created by: Red star with a white boarder from the New Zealand flag, rope representing New Zealand Ship and Marine society’s logo & the anchor, a symbol of all things connected with the ocean. Bird: Kawau- Shag, representing our myriad of sea birds. Light houses: Left: Lyttelton Harbour Lighthouse, commissioned 1878. Right: Pencarrow Lighthouse. First lit 1 January 1859.